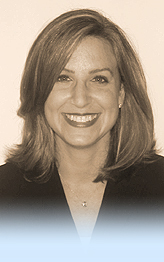 Deborah Katz Solomon is an executive coach for lawyers and the founder of Acuity Legal Consulting LLC. Ms. Solomon specializes in professional development, marketing, and leadership coaching for attorneys at all levels of experience. She works with law firms as well as with individual lawyers, and her coaching practice is international in scope. Ms. Solomon has been featured as a speaker for AmLaw 100 law firms, the National Bar Association, the D.C. Society of Young Professionals, and Yale Law School. Her article, " From Antitrust Lawyer to Executive Coach " was published in the June 2007 issue of the ABA's Law Practice Management Magazine. Prior to founding Acuity Legal Consulting LLC, Deborah practiced law with Gibson, Dunn & Crutcher LLP in New York and Washington, D.C., where her practice focused on antitrust and class action litigation. Deborah received her B.A. in Public Policy Studies from Duke University and her J.D. from Vanderbilt Law School, where she was Student Writing Editor of the Vanderbilt Law Review. Deborah is certified in Leadership Coaching through Georgetown University and is a member of the International Coaching Federation. Copyright © 2004-2007 Acuity Legal Consulting LLC. All rights reserved.